CCL's manual that explains the Sympto-Thermal Method of NFP. The Student Guide is the course manual for CCL's NFP Main course. This is an excellent resource for current NFP users who want to update to a more streamlined method. Workbook format; easy-to-read and understand. Contains practice exercises and answers. Lessons on the fertility signs and their interpretation, using NFP to achieve pregnancy, effectiveness, cycle irregularities, Church teaching on marital love and responsible parenthood, using NFP in special situations, and more. 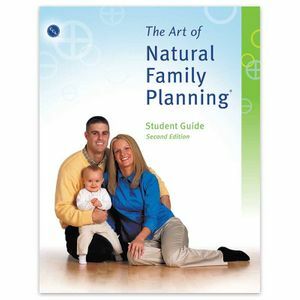 NOTE: If you are considering purchasing the 2nd edition Student Guide to learn NFP on your own, we strongly recommend that you consider our Self-paced Online Class. This course provides online video-based modules you can work through at your own pace, but also provides you with benefits not available to those who do not receive formal CCL instruction, such as chart interpretation consulting, membership (including a subscription to the online edition of Family Foundations magazine), and access to our mobile charting app CycleProGo.